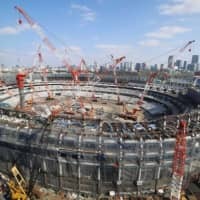 Tokyo’s New National Stadium will hold a crowd of 68,000 people next year at the 2020 Olympics, organizers said Monday when venue capacities were announced. 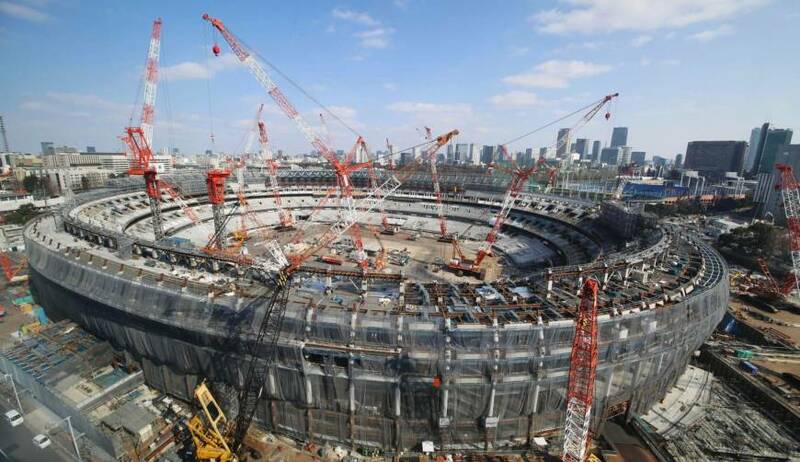 Ajinomoto Stadium, which will host soccer and rugby, was listed at 48,000, while the Tokyo Aquatics Center will be able to hold 15,000. Due to cost cutting, some venue capacities are smaller than those estimated in Tokyo’s candidature file. The totals announced will include seating used by officials and others. For ticket sales, available seating will be determined later. Fukushima’s Azuma Stadium, a softball and baseball venue that was not in the candidature file, will have a capacity of 14,300. Shizuoka Prefecture’s Fuji Speedway, where the cycling road race will finish, will hold 22,000, while the capacity at the sailing venue at Enoshima Yacht Harbor in Kanagawa Prefecture was given at 3,600.